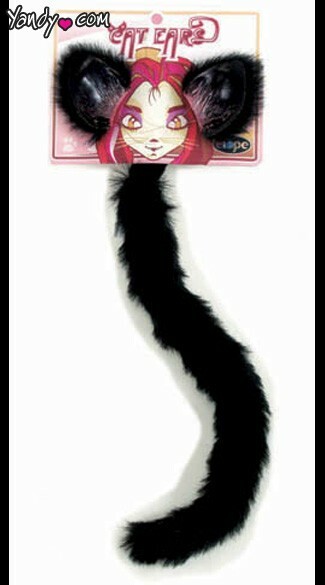 Cat Ears And Tail Kit. Alice in Wonderland costume. Black cat ears and furry tail kit. Dress sold separately.